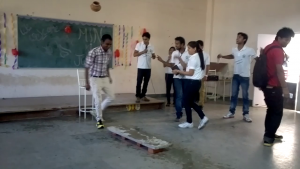 There were some other activities which also took place in the college campus.In these activities both teachers and students participeted. 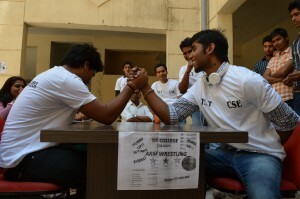 Many activities like Arm Wrestling ,Bike Race and many othere games were organized by the institute for the overall development of the students. Teachers engaged in Arm Wrestling. 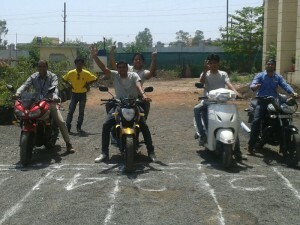 Techers participating in slow bike and scooty race.